the reason why I’m writing this post is due to the lack of reviews I found online about AWE course offered by offensive security. If you look up for OSCP or OSCE they are plenty but not so much for OSEE/AWE. If there is something I learned from hacking cons is that you can contribute to the infosec world by creating any kind of helpful material for other people (refer to the hacker manifesto); hence I decided to contribute to the infosec world in my own way too. Wait; did I say BackTrack? 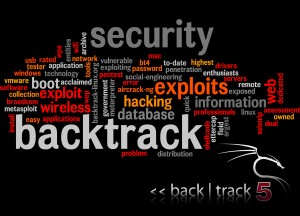 Yes Backtrack is still a cool (outdated) distro for hacking! If for some odd reasons you still need to use BackTrack in 2017 (hello? have you heard of Kali), I won’t judge you. This post is meant to save you some time if you haven’t used BackTrack for a while and need to get some things done with it.